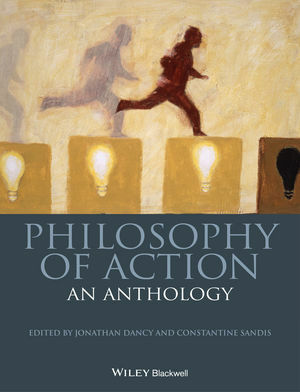 The Philosophy of Action: An Anthology is an authoritative collection of key work by top scholars, arranged thematically and accompanied by expert introductions written by the editors. This unique collection brings together a selection of the most influential essays from the 1960s to the present day. Jonathan Dancy is Professor of Philosophy at the University of Texas at Austin and at the University of Reading, UK. An internationally known specialist in ethics, epistemology, and early modern philosophy, Professor Dancy is author of five books: An Introduction to Contemporary Epistemology (Blackwell, 1985), Berkeley: an Introduction (Blackwell, 1987), Moral Reasons (Blackwell, 1993), Practical Reality (2000), and Ethics Without Principles (2004). Constantine Sandis is Professor in Philosophy at Oxford Brookes University. He is the author of The Things We Do and Why We Do Them (2012) and the editor or co-editor of New Essays on Action Explanation (2009), A Companion to the Philosophy of Action (Wiley-Blackwell, 2010), Hegel on Action (2010), and Human Nature (2012).